Getting a tattoo in Chicago. Ever had a tattoo that you just didn't like anymore? That is what Chicago martial arts instructor Dina was feeling about a poor quality tattoo she got when she was 18. 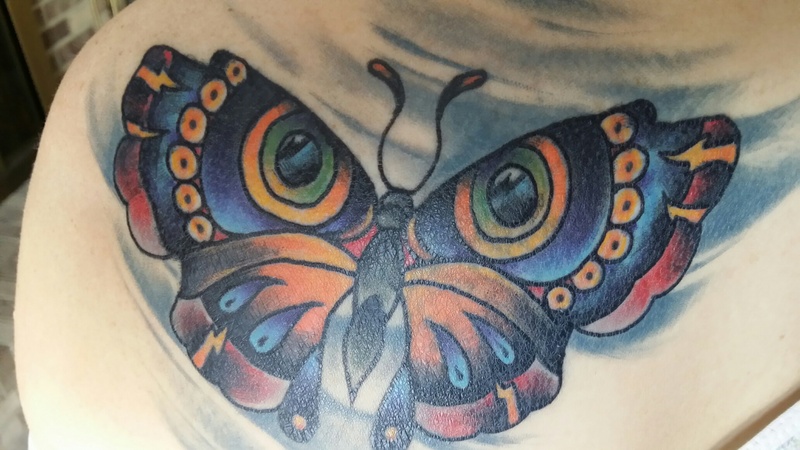 See the impact of getting a professional quality cover up tattoo and how it made Dina feel completely different about her self. If you have some old ink that you just can't stand to look at it anymore, why live with that? Do something about it and you will feel proud of the way your new cover tattoo looks and that will make you feel great! Don't wait 20 years to make a tattoo you hate to a tattoo you love! It's your body and it's important on how you feel about how it looks, right? Call Royal Flesh now! What have you got to lose. It's easy getting a tattoo in Chicago. Getting the RIGHT tattoo is a different story! 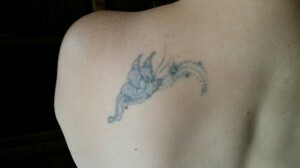 Send us a picture of your old tattoo and we will give you some great ideas and work miracles with even the worst tattoos. Its easy! Let's get started today. Dina is a kickboxing instructor and co owner of Victory Martial Arts academies with 7 Illinois locations. She spends her time teaching Self Defense & kickboxing and holds a 4th degree Black Belt. Check out our new Arlington Heights location!